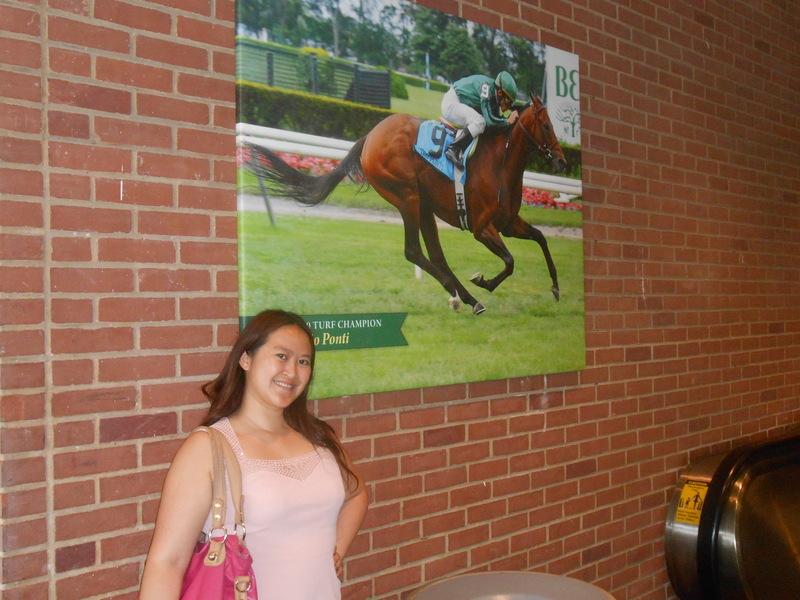 This past weekend I had the opportunity to spend the day at Belmont Race Tracks to see some premium horse racing. 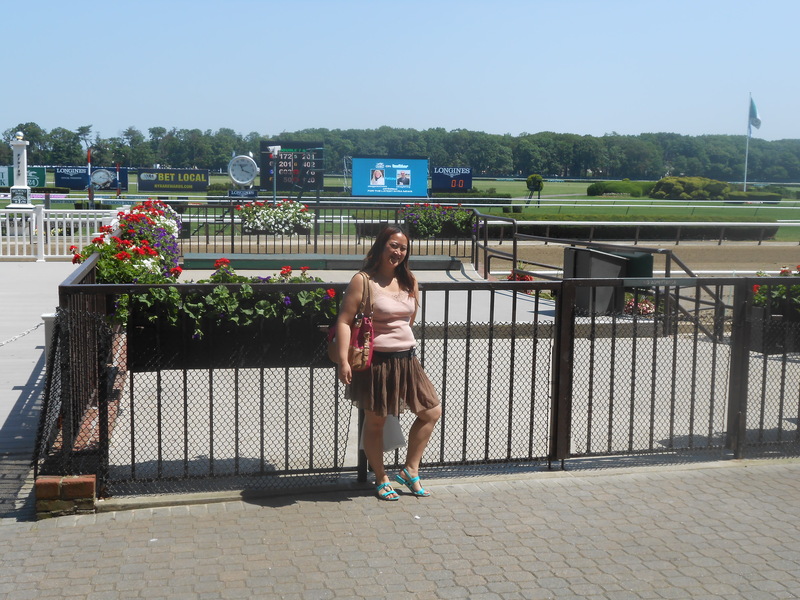 We had Clubhouse seats and had the option to be up in the bleachers or down right by the dirt race track, which turned out to be the better option- Closer to the action. Inside we also found a stand with Millport Dairy products from Pennsylvania, such as cheeses, meat, sausage, pie, whoopie pies, and breads. 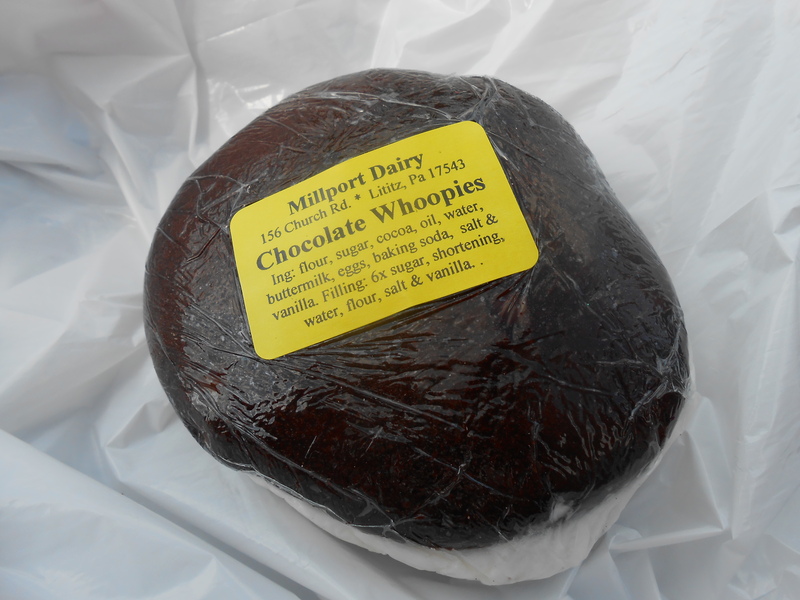 My friend purchased the sweet jerky which was quite tasty, and I bought a huge chocolate whoopie pie which was simply delectable, perfectly moist, chocolatey with creamy sweet vanilla center. 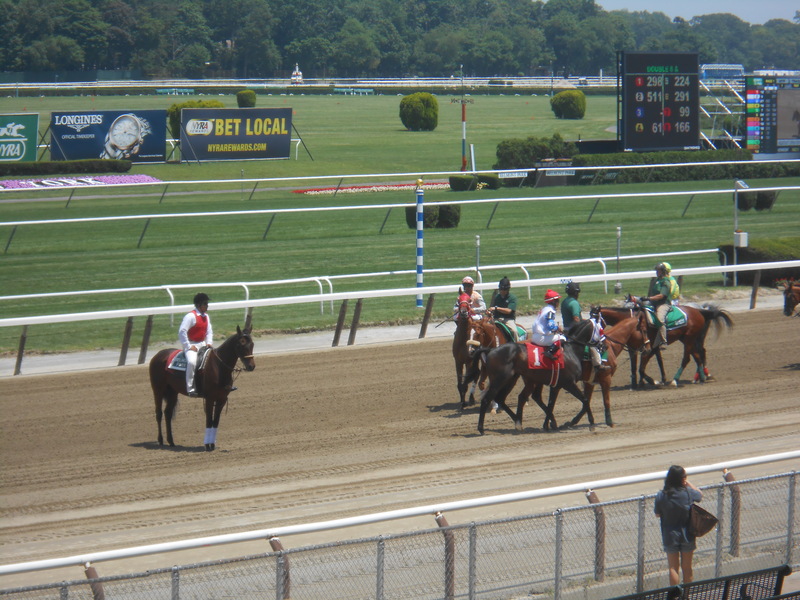 There were 10 races total and before every race, each horse would be shown to the crowd. 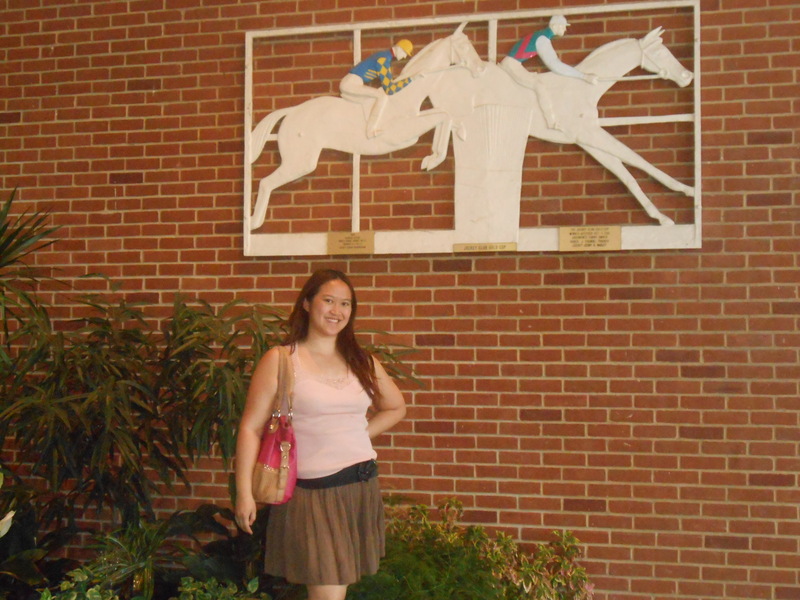 I had a grand time picking my favorite horses- They were all so gorgeous, elegant, stately and had fluidity of movement, their bodies glistening in the sun, showing power, strength and beauty. 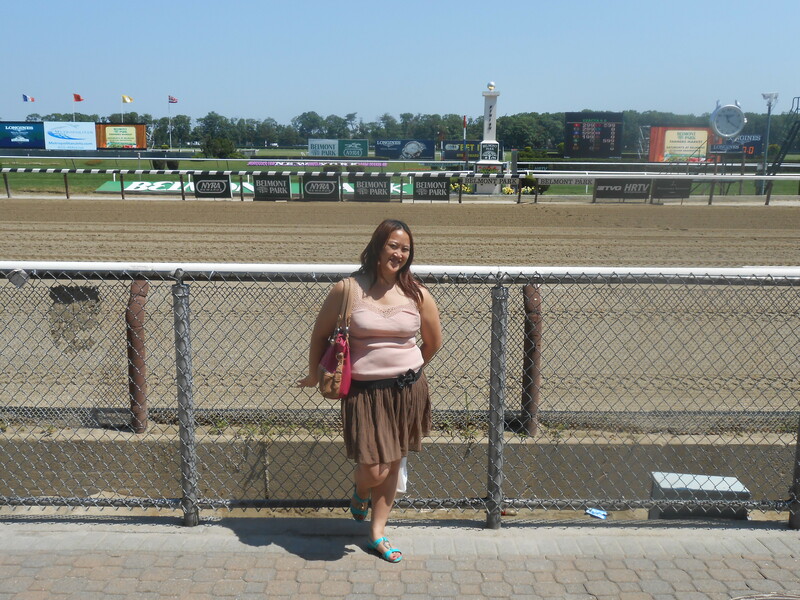 The races themselves were quite exciting and I really got into them. 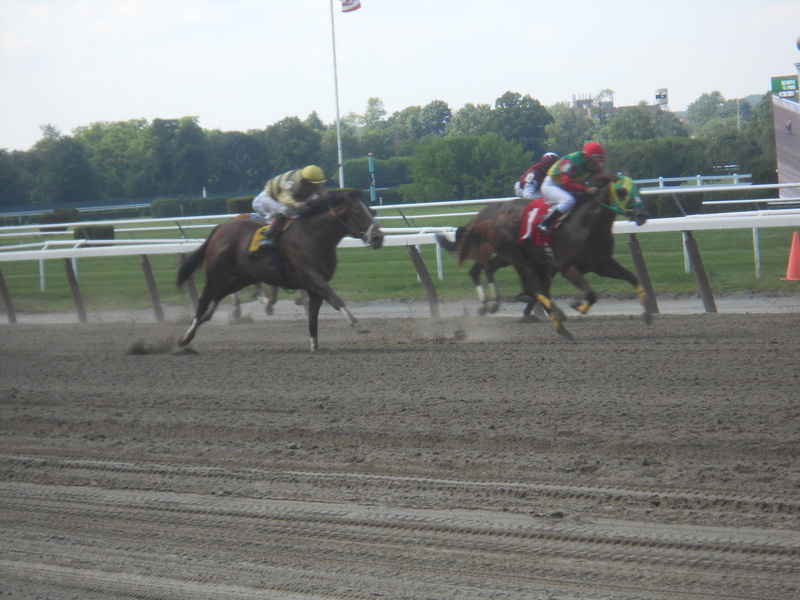 There was usually a horse that had a clear lead for most of the race, until they reached the bend and more often than not, one of the other horses that were behind manages to surpass the front liner. 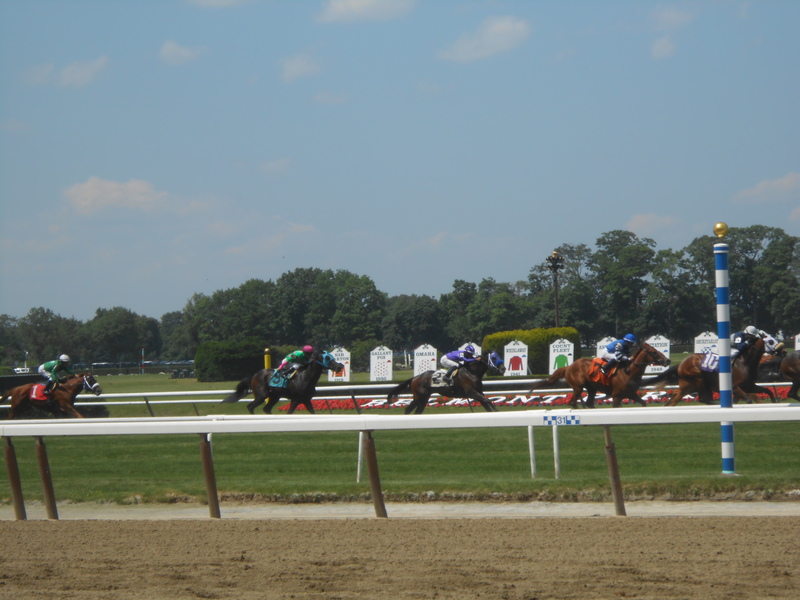 Some of the races had a very narrow margin between first and second place, while in others, there was a significant amount of distance between the winner and all the other horses. It was such a fun and affordable (Clubhouse seats are only $5) day. 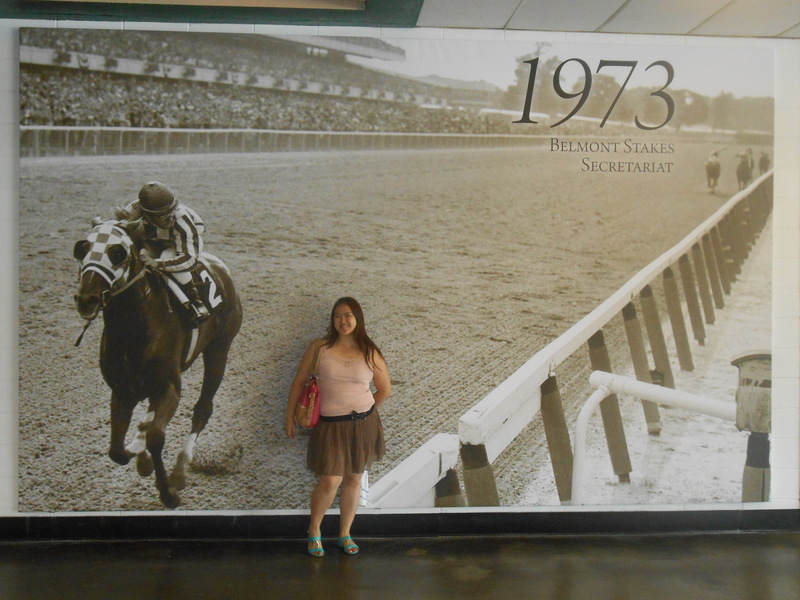 Despite the close to half hour waiting in between races, I would most definitely come back again!